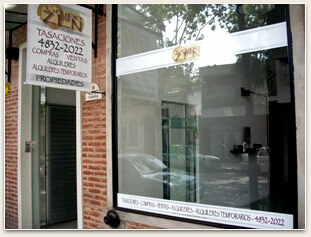 Zen Group is a young company in the country, with a wide Real State experience in United States as well as in Argentina. Zen Group was made linking the excellence of the Argentinean's customs and technology and efficiency of United States. To achieve the excellence, we focus on our clients necessities offering personalized and warm customer service, ethic, clear and simple assessment to make our customers feel supported and secure. We have real states agents graduated in United States with the purpose of transcending borders and count on local as well as foreign investments. Having advance technology offering our customers to be included in real states' networks in Argentina and Florida, USA. Our office is strategically located in the centre of Buenos Aires City letting us cover the city completely, and it operates with extended working days every day. Our professional team can offer you advice on all your real state's needs, buy-sale, professional appraisals, rents, temporal rents, real state projects, developments, credits, legal and countable assessment. We also have a Rental Division which organizes between the tenants and the landlords, controlling rented units, verifying taxes and services payments, receiving rental payments to third parties, and every detail to achieve the greatest customer service. As well, our customers can be supported by the Temporal Rent Division that will orientate the landlords to prepare their properties to offer the tenants everything they need to have a comfortable stay. We find your perfect people that visits the city, tourists, foreign students, business people who need to obtain hosting for short and long periods of time. We advertise and administrate all your needs as landlord and tenant. 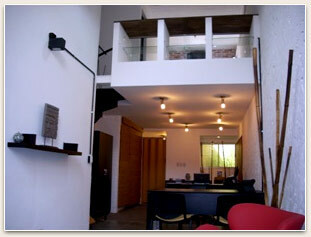 Offering a full service, administrative, legal and logistic.